The annual cotton harvest in Uzbekistan has officially begun as of Monday, September 8. Mass mobilization of civilians being forced to pick cotton is expected to begin on September 15. Nearly million citizens will be forced to return to the fields to pick cotton under threat of punishment. Citizens are paid very little, and some are forced to pay transportation and housing fees while working, ending up indebted to the state. Conditions are often strenuous, with irregular access to food, water, shelter, and sanitation. Students ages 16 to 18 are being mobilized to work, with parents being forced to sign a contract that indicates the children “volunteered” to perform agricultural work during the school year in order for their children to remain enrolled. Although the Government of Uzbekistan claims that child labor under the age of 15 has been eradicated, it is difficult to confirm independently, and it’s unlikely that the practice has been ended altogether. Teachers have also been forced to sign up for work in the cotton harvest or resign their positions. To end this coercive system of forced labor, action must be taken from a variety of sources. 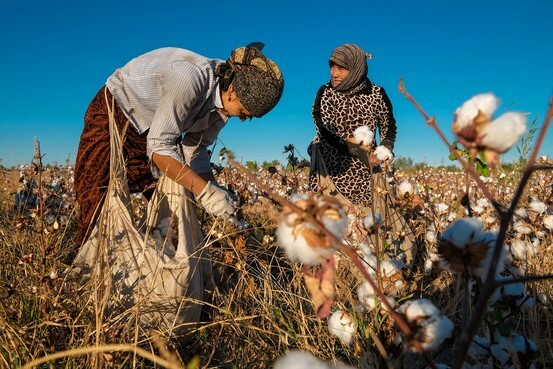 Retail and apparel companies can influence the government of Uzbekistan by refusing to source Uzbek cotton and making a commitment to determining the origin of the cotton in their products to ensure it is free of forced labor. The time to end state-orchestrated modern-day slavery in Uzbekistan is now. Apparel brands and retailers have a responsibility to do their part to end cotton crimes around the world.